For many years, there was no way around giving your house an annual paint job. Vinyl siding didn’t exist, so if you didn’t want a brick exterior on your home, you more-or-less had to choose wood siding or stucco, both of which require regular upkeep. Today, though, even though vinyl options exist, some homeowners still prefer the look of wood siding and trim. If your house has wood elements outside, it’s important for you to have them painted every year to keep them looking their best. You’ll learn more about this as you read the remainder of this guide. Who should do the project? Although painting the exterior of a house isn’t necessarily a hard job, it can take a while, especially if you’re painting the whole thing rather than just performing touch-ups. Therefore, the best plan is to let a professional team handle the task rather than trying to tackle it on your own. 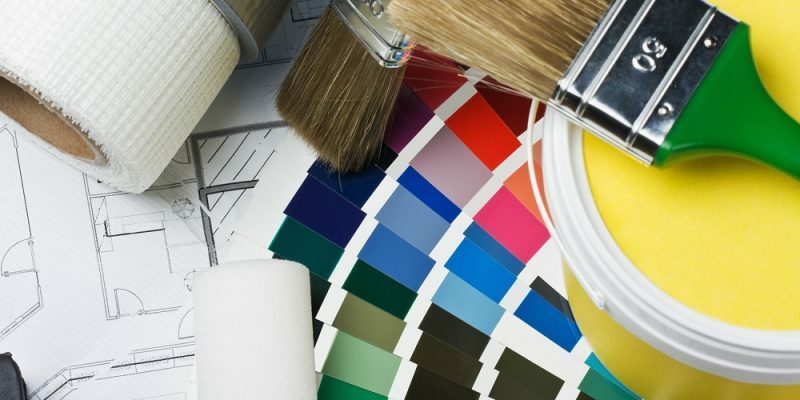 Additionally, experts will use the best painting supplies and know the most effective techniques, ensuring that your paint job will look good for as long as possible. Since they do this work every day, they are likely to know tricks that you don’t know as a DIYer. How long does exterior painting usually take? There is no cut-and-dry answer to this question, as there are a number of factors at play. The size of your house, the amount of it that needs to be repainted, and the weather conditions in your area, for instance, will all have an impact on how long your project takes. Typically, however, for a home between 1,500 square feet and 2,000 square feet, at least three days should be blocked out for the job. When is the best time of year to paint outside? The response to this depends, to a certain extent, on where you live. Residents of balmy Charleston, South Carolina, can, for example, paint the outsides of their homes for more of the year than people who live in Asheville, North Carolina, where it gets quite cold. As a general rule, however, it is best to do exterior painting during the most temperate seasons of the year; in most regions, this means fall and spring. It is, however, possible to paint during both summer and winter as well, but your painters will have to make sure the temperatures are appropriate for the type of paint they are using. Most paints that are rated for outdoor use will only dry in specific temperature ranges. Talk to your painting crew or contact the manufacturer of your paint products to learn more about this. What additional things should I consider? If you’ve decided to hire painting contractors, there isn’t much more you need to think about other than getting them set-up and ready to go on the first day of your job. You should, though, make sure they are aware of any unique features of your house. Additionally, make sure you disclose if there is lead paint anywhere on the outside of your home; this is only something you need to look into if your residence was constructed before 1978. The team at Hatch Homes would love to handle your upcoming exterior painting project for you. We believe that a fresh coat of paint can do wonders and we look forward to working with you as you transform the appearance of your home!